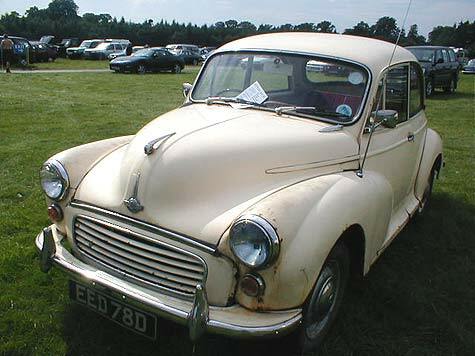 Shown is the Morris Minor 1000 saloon restoration project photo, one of several I've taken of classic Morrises at classic & vintage car shows in the UK. To see photos of similar old Morris models, including Morris commercial vehicles and Morris saloons, please see the homepage menu. There are more photos of old Morrises similar to this one of an old Minor 1000 saloon restoration project - please see the homepage menu.